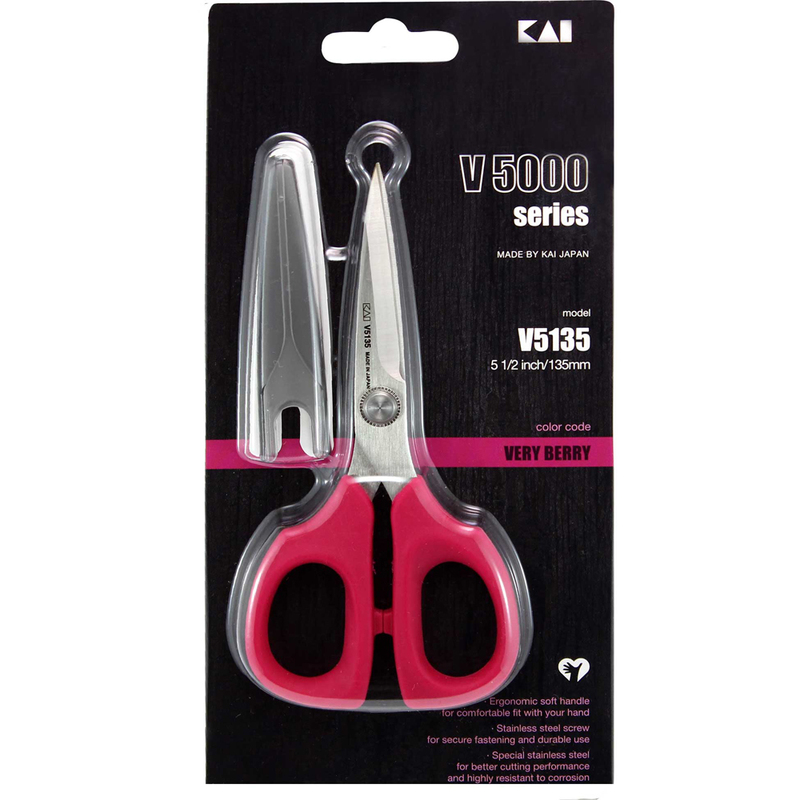 Home > Notions > Scissors > KAI 5135 Embroidery Scissors - 5 1/2"
KAI 5135 Embroidery Scissors - 5 1/2"
With a sharp point and straight blades, these scissors are great for cutting small areas of fabric where precision is important. Ergonomic soft handle for a comfortable hand fit with less cutting fatique. Superior hardened stainless steel blades for better cutting performance. Includes blade cap for safe storage. Very Berry colour handles are easily visible in the sewing box.